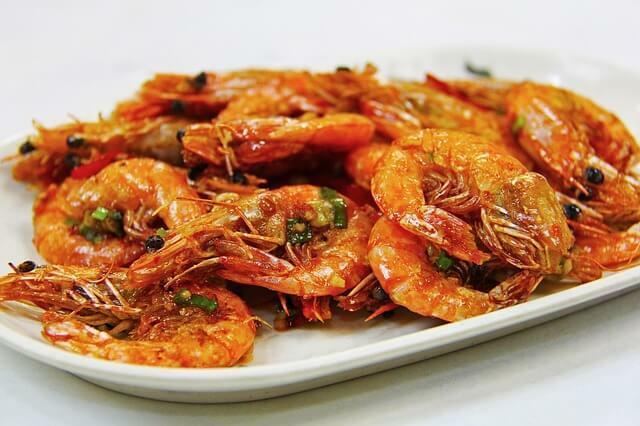 Stir-frying shrimp is a method that can be used to cook shrimp in a way where it is crispy on the outside and tender inside. It’s best to use a high walled pan like a wok. You coat the shrimp in cornstarch, then cook the shrimp in oil, frequently flipping and tossing. Then stir fry your vegetables. To make a sauce that will coat the shrimp without being too heavy, mix teriyaki, ginger, and Japanese wine. Add this sauce to the contents of the work. You can serve it with rice. Stir-frying is a quick, easy, and delicious way to prepare flavorful and healthy food at home in no time. There are a few secrets which will help you yield the best results. First, ensure you start with dry shrimp for this recipe. It’s easy to whip up a homemade teriyaki sauce, fresh and bursting with flavor, to top your favorite stir-fried dish.